It’s beginning to feel a little more like spring! YAY! 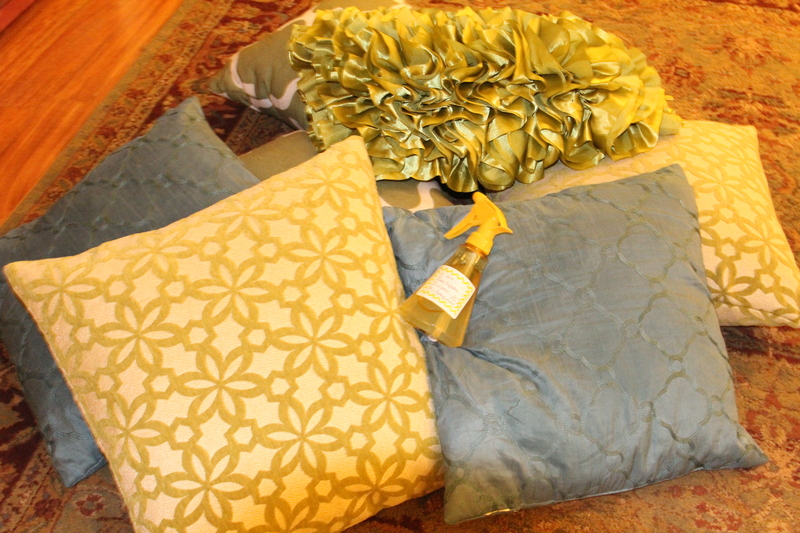 As I was spritzing our couch, pillows and rugs this morning, I remembered that I never shared my homemade fabric refresher. I did not think of this little concoction, it’s all thanks to Pinterest. I found a recipe I liked at instructables.com and I worked with the ratios and changed them until I was happy with the mix. 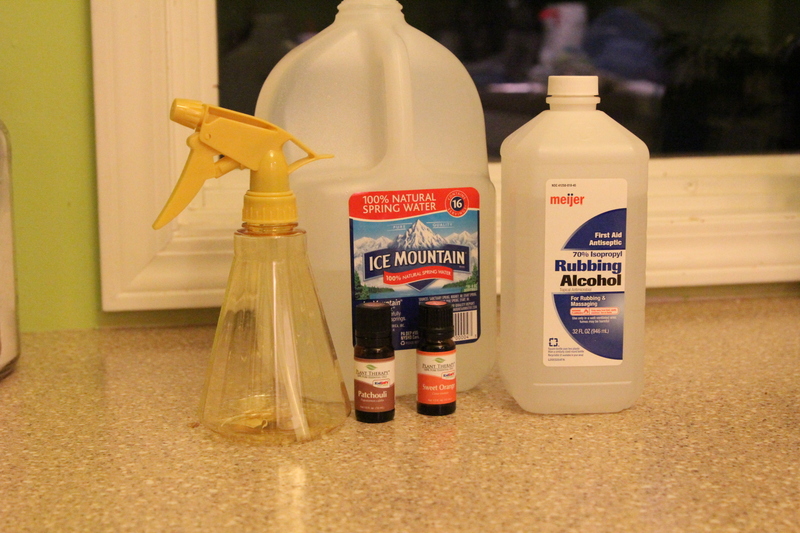 There are many different variations available if you search homemade Febreze or Fabric Refresher. Some include using diluted fabric softener or diluted washing add-ins like Downy Unstopables. Some just use essential oils mixed with water. Some even mix in baking soda which I may try sometime. I wanted something more natural than using fabric softener, but experiment and try whatever works for you. As always when using essential oils and scents, be careful which scents you use around children and pets. Do a little research and be sure to dilute any essential oils. I went with patchouli because you know I’m a little obsessed with that scent, but I think I’m due for a new more springy scent so I may make a lemon or lavender scent. 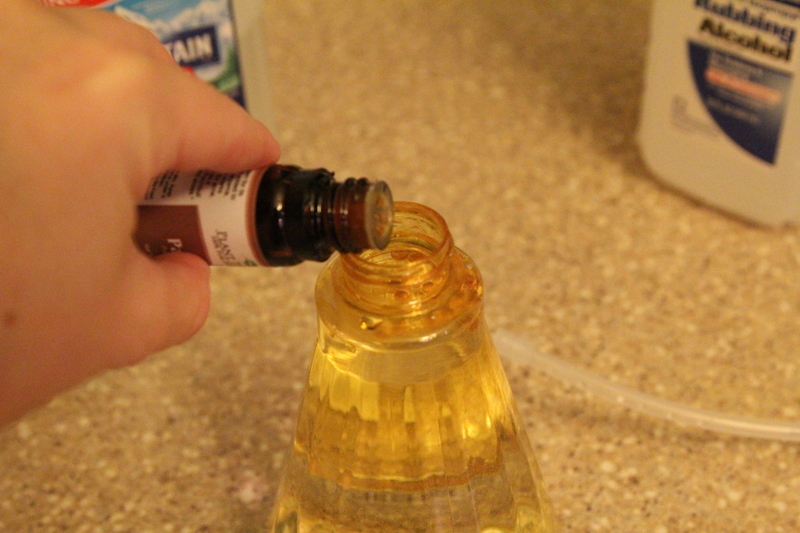 If the oil has any color to it, be careful around light colored fabrics. I do not advise to go crazy and spritz a beautiful white couch or curtains. Does anyone really own a white couch? The patchouli oil I have is a dark patchouli and even though it’s diluted, I know it may discolor anything light in color. Luckily our couch is a nice khaki color, with added shimmers of dog hair and our rugs are all dark so I don’t have to worry too much about discoloration. Here’s the recipe I used. The rubbing alcohol is to help the solution dry quicker. The alcohol smell goes away after a minute or so, you can try it without it if you prefer. Essential oil. I used around 20 drops. Combine the water and rubbing alcohol and add in the essential oil drops until you are happy with the strength of the scent. Shake before using. Be careful about spraying light-colored fabrics. Always use caution around kids and pets. “added shimmers of dog hair” — I have to remember that one! I like your recipe, as it sounds much more natural than others I’ve seen. I’ll give it a try this weekend. Thanks!